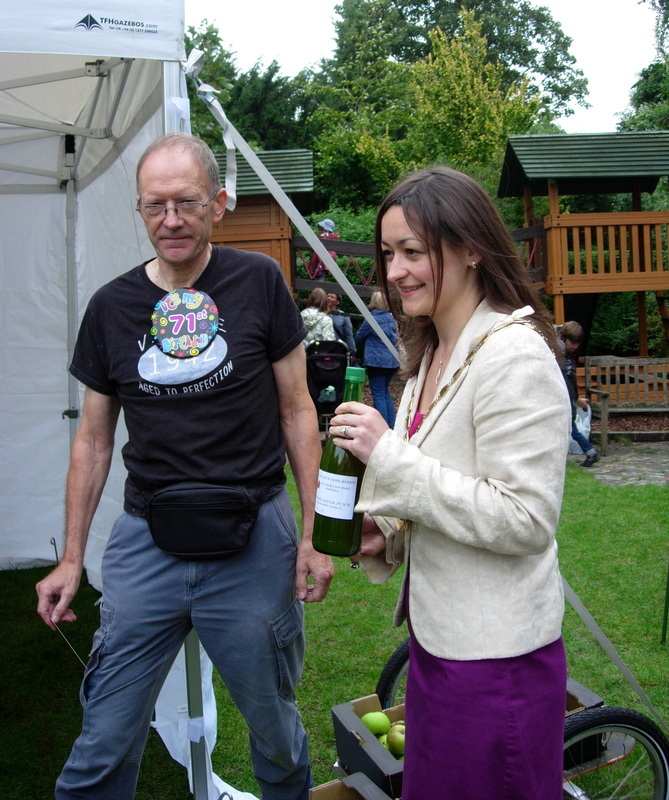 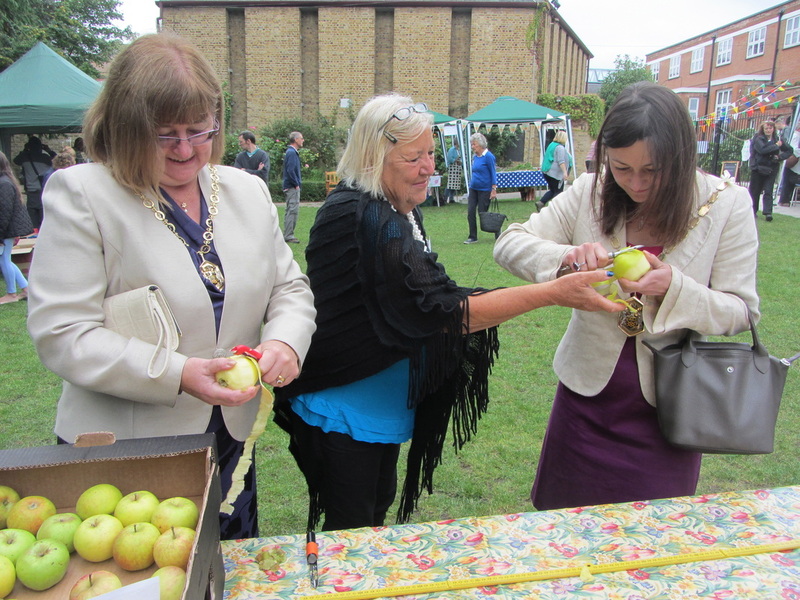 Abundance Wimbledon held its third Fruit Day on Saturday 21st Sept. 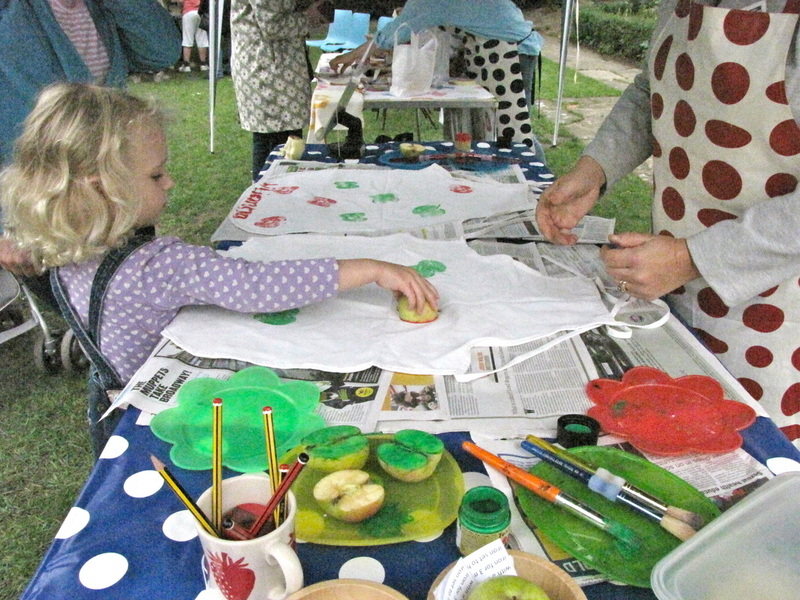 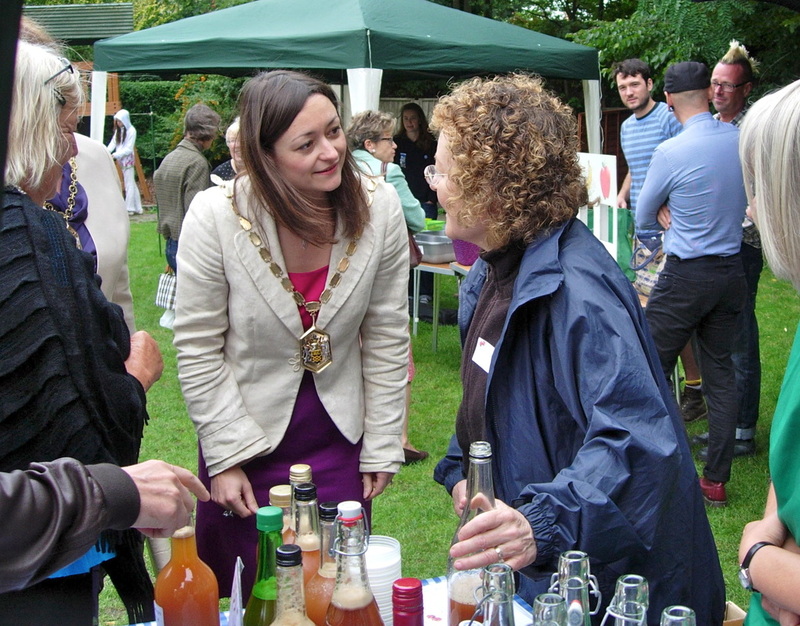 Hundreds of people came along to St Mark’s Church garden and hall for the event. 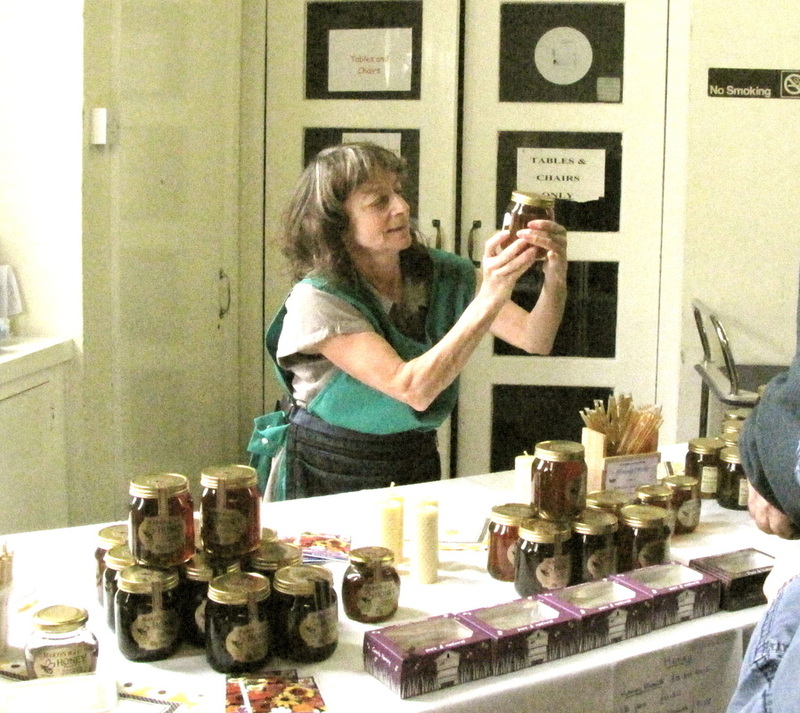 The day started off with the opening by Mayor Crystal Miller, then visitors could buy everything from mulberry and apple jam to courgette marmalade, redcurrant and chilli jelly, fruit truffles and apple cakes – all made with surplus local fruit. 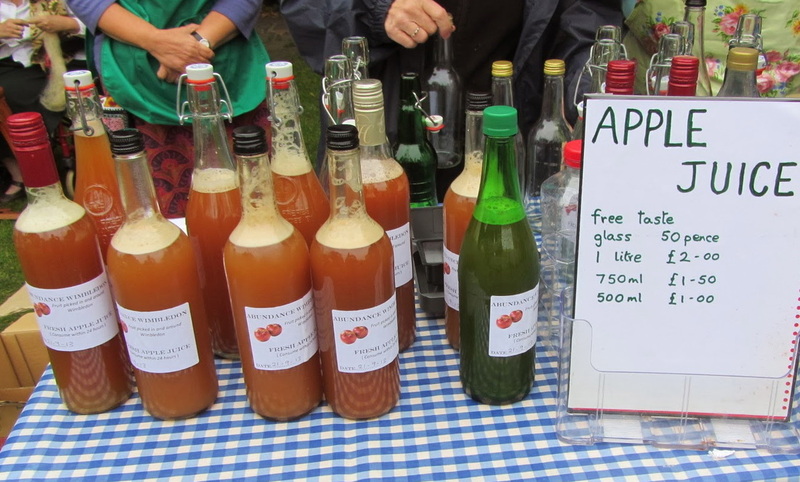 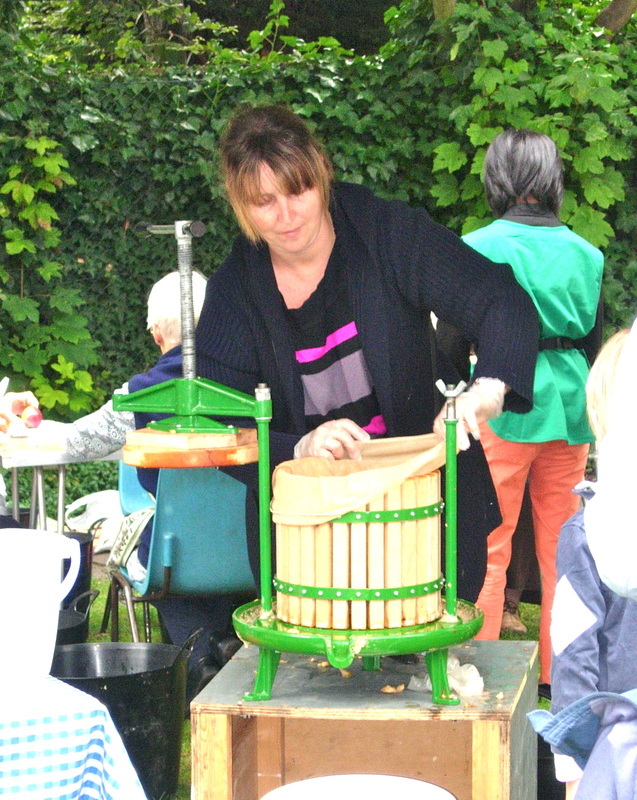 Free-tastings of apple and pear juices, jams and compotes were popular as ever. 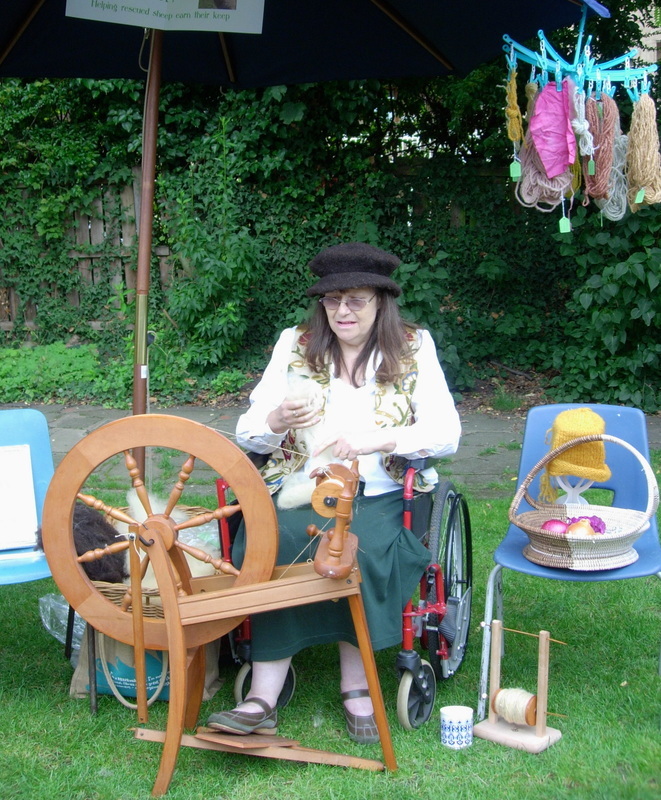 As were the Longest Peel competition, fruit and herb plants, produce from the Priory School garden and fruit dyed yarn being made on a spinning wheel. 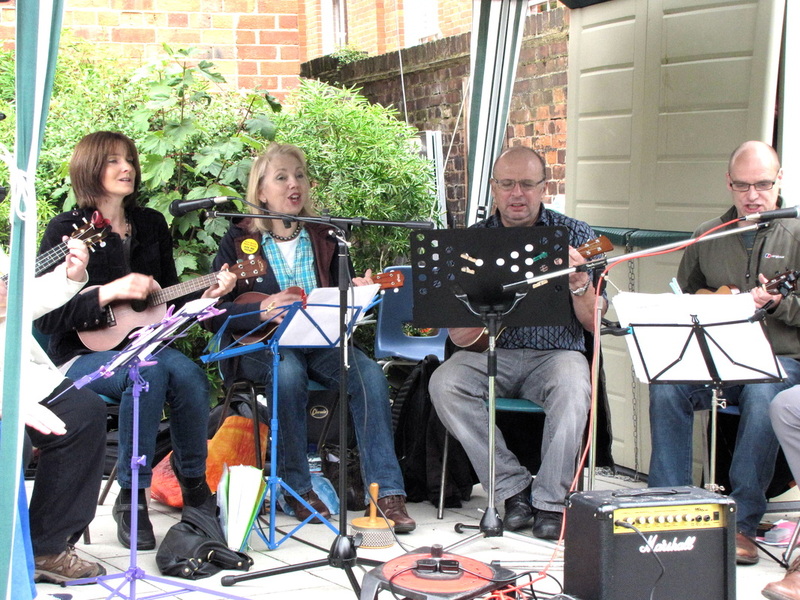 Children could make a fruit themed badge at the Girl Guides stall, use the automatic apple peelers or just dance along to the wonderful International Ukulele Orchestra. 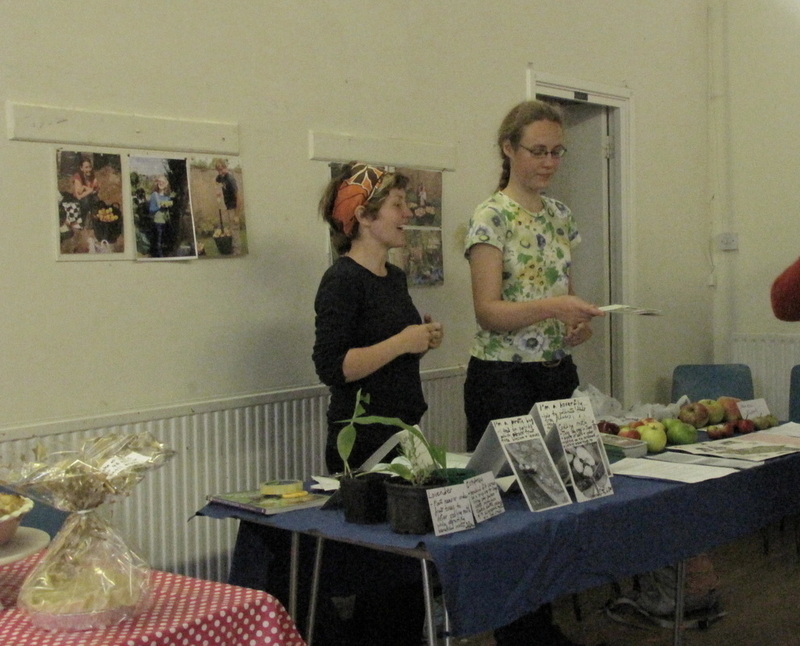 Everything was sold and funds were raised to keep Abundance running. 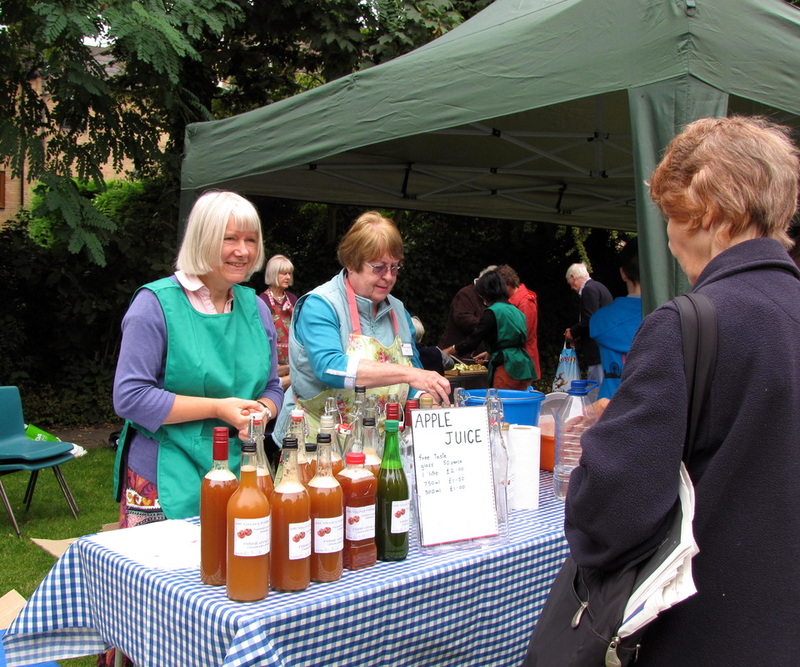 Over £1000 was taken from the sale of jams, chutneys, fresh juice, pies and cakes made from fruit collected by Abundance in local gardens and parks - and a further £201 from the other stalls. 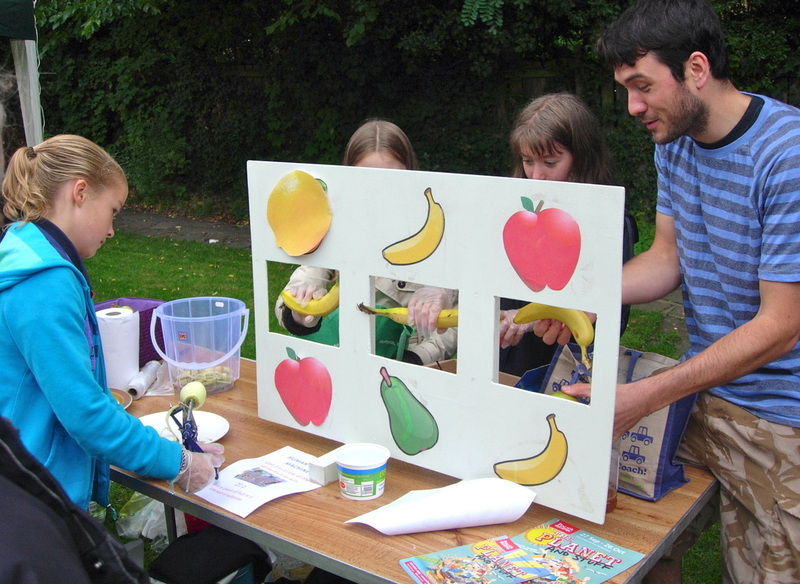 This was all made possible with the help of our wonderful helpers - as well as all of those letting us pick fruit in their garden and all our fruit picking volunteers. 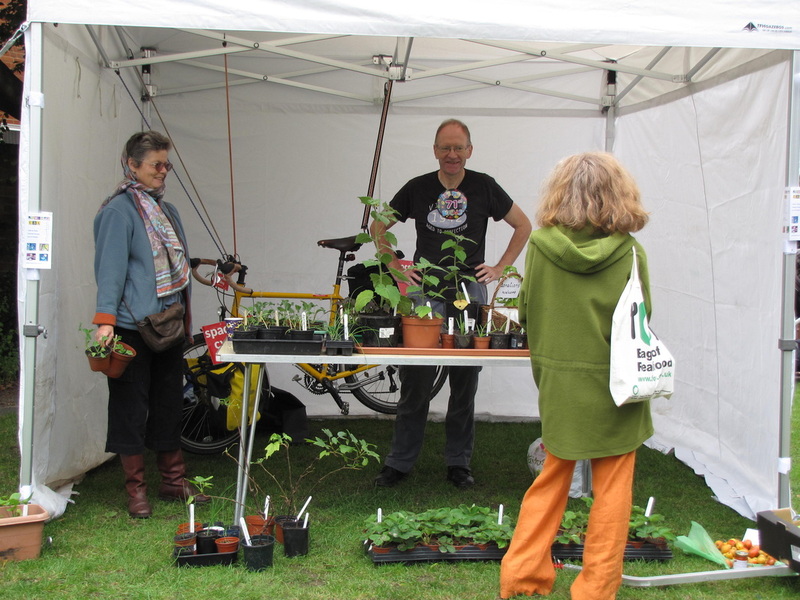 For more information about money raised and spent in 2013, see About Us - Funding and Spending - 2013 our third year. 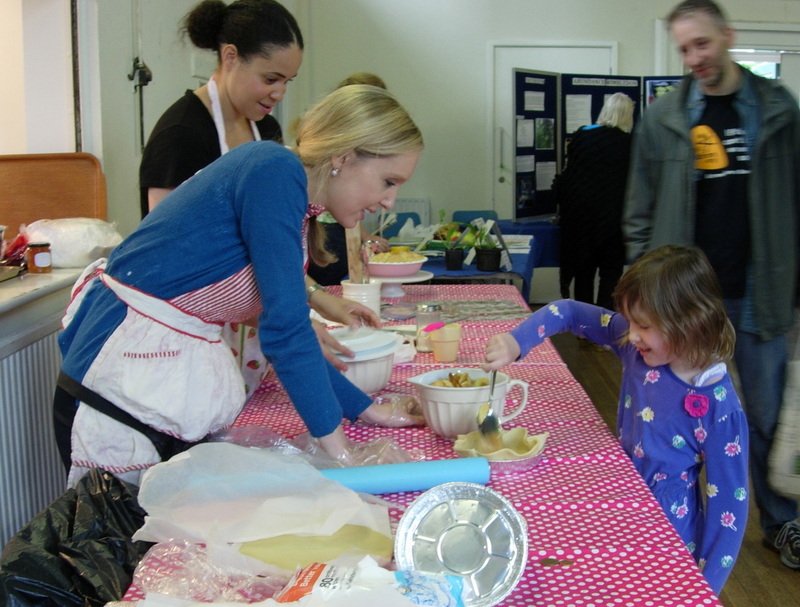 Here are some more photos from Fruit Day 2014!